Hello! Hope you’re all starting to feel a little Christmassy, whether you’ve already got your decorations up and your shopping done, or are planning on leaving it until later in the month. It’s a busy time of year for us parents, so hopefully Essex Mums can help bring a little sanity to your lives, whether it’s by providing you with lots of ideas to keep the kids busy or just giving you an outlet for a seasonal vent! Love it or hate it, Essex is covered in snow and kids all over the county are enjoying days off school and snowball fights. In honour of this, there is a slideshow of your snowy photos on the homepage. You can submit your own pictures by posting here or by sending them to me at [email protected]. All will go on the homepage, but the best one will win his or her choice of one of the lovely festive goodies I’ve selected from the Essex Mums Alternative Christmas Gift Guide. There are so many fun, wintry events going on across the county throughout December, so make sure you check out the Things to Do section for what’s on near you. In the next week or so I’ll be making sure I have the calendars nicely full with fun Christmas events, and will be making a homepage feature so that they are easy to find, so make you keep an eye out for that. 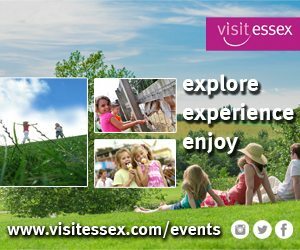 We’re coming up to 2000 members on Essex Mums and to celebrate I would like to give away a prize when the 2000th member joins. All you need to do is post in this thread to say you’d like to enter – it’s open to all members of the site! As well as that I would like to give away another prize to the person who gets the most new people to sign up so get inviting your friends and make sure they let me know you recommended it to them. It has come to my attention that many of you have had problems with loggin in and being unable to reset your password. Please let me know if you have and I will reset it for you. We’ve had some great blogs from new guest bloggers this month. If you haven’t already, please have a read and let me know if you would like to write something yourself. If you’re still looking for those last few gifts, make sure you take a look at the Alternative Christmas Guide for everything from lovely little stocking fillers to enormous main pressies. Run a shop or business? Make sure you have a very Merry Christmas and a happy new year. Here’s hoping 2011 is tantrum-free and full of sleep and lovely family time. If you have a spare moment, please do come and wish a Happy Christmas to all the other Essex Parents on the forum! As always, please send any events, feedback, ideas etc. to me at [email protected]. I love hearing how people use the site and ways I can improve it. I hope you have a lovely month and that I’ll get to see you at a meet-up soon. New ITV Show Needs YOU!! Take a look at the Things to Do section for full listings.